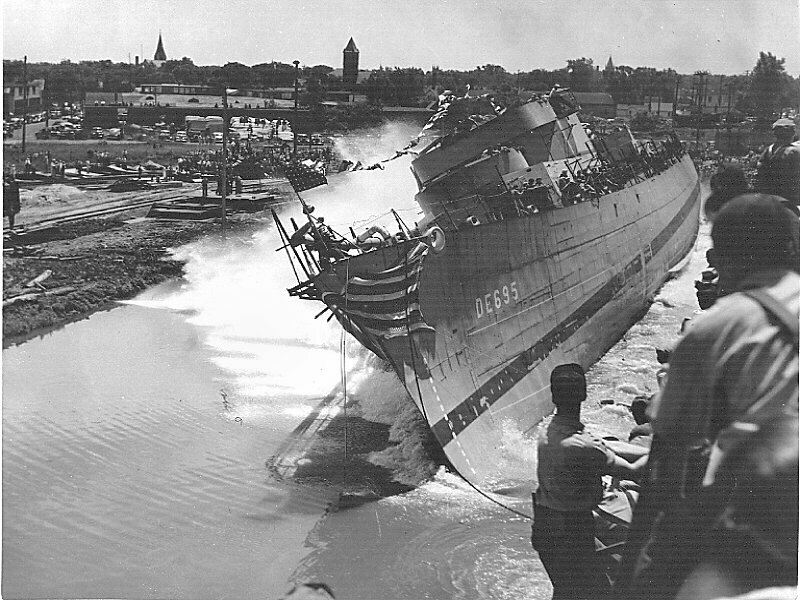 27 March 1943: Keel laid by the Defoe Shipbuilding Co., Bay City, Mich.
8 June 1944: Struck a mine and sank off Utah Beach, Quineville, France. 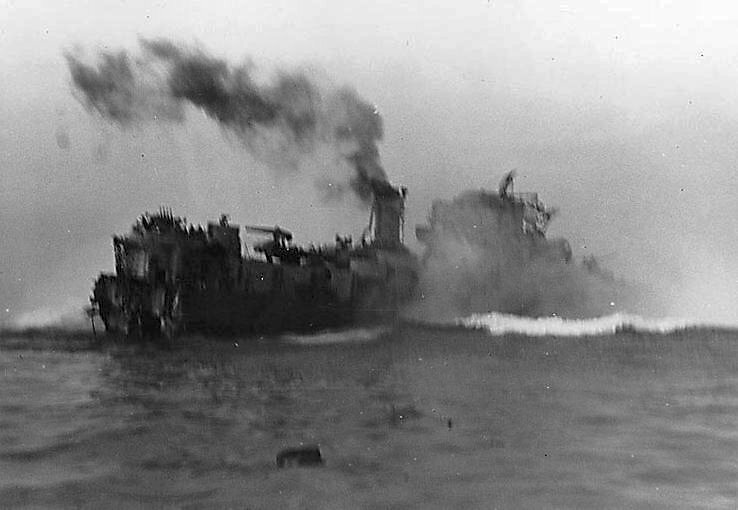 Of her crew, 27 were killed; 73 were wounded; and 62 were missing. 6k Ralph McMaster Rich, born on 22 January 1916 in Denmark, N.D., enlisted in the U.S. Naval Reserve on 12 October 1939 in Minneapolis, Minn. After receiving initial flight training in Minnesota, Aviation Cadet Rich reported for active duty at Pensacola, Fl., on 28 December 1939. Designated Naval Aviator on 12 July 1940, he was commissioned ensign on 16 August, and assigned to Fighting Squadron (VF) Six in Enterprise (CV 6) on 28 November. Promoted to lieutenant (junior grade) on 28 May 1942, he led a section of fighters covering the approach of American bombers against the Japanese fleet during the Battle of Midway 4 to 6 June 1942. Lieutenant (j.g.) Rich, killed in an airplane crash on 18 June 1942, was posthumously awarded the Navy Cross for "capable and aggressive leadership" which enabled his attack group to "maintain continuous flight over enemy naval units, thereby assuring our dive bombers an unmolested approach." 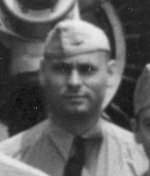 In addition, Lieutenant (jg) Rich is credited with shooting down one enemy torpedo plane while flying on combat air patrol over Yorktown (CV 5) during the Battle of Midway. 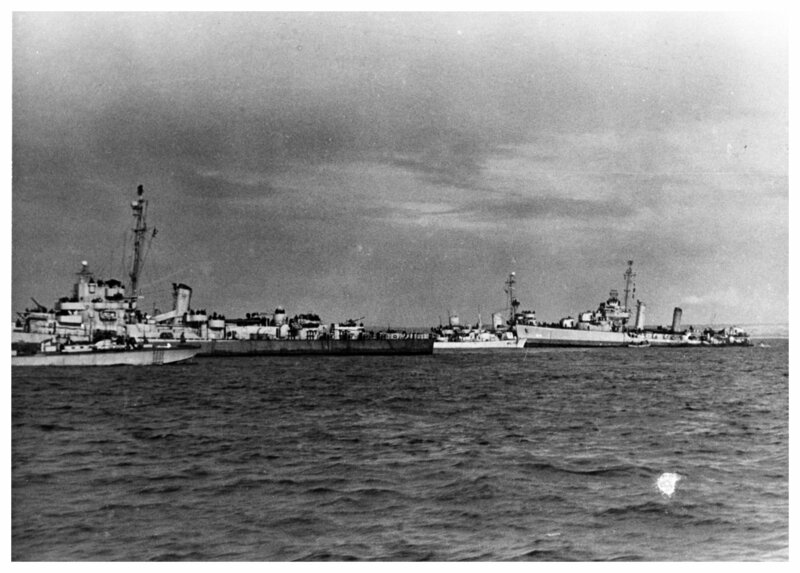 USS Rich (DE 695) (1943-1944) was the first ship to be named in his honor, she was succeeded by DD 820 (1946-1977).